This article was published in the second issue of THINK. magazine (2012), a quarterly international affairs magazine. Download a PDF of this article. In the Art Center at the Katara Cultural Village in Doha, a picture of a Qatari woman clutching a Coca-Cola cup hangs prominently in the rear gallery. The woman, dressed in a traditional black abaya, cuts a striking image against the endless blue sky behind her. Her lips and fingernails have been painted to match the American soft drink’s bright red logo, and her wind-swept hair flows out elegantly from underneath her veil. There is no indication as to where she is standing – all that matters is she is peering into the distance, as if trying to see what changes the future will bring to her and her country. But as the cup in her hand indicates, the changes are already there. The cup is just one manifestation of the Western consumerist products ubiquitous in Qatar where women wear black abayas, just as in the photograph, but frequently with jeans underneath and Louis Vuitton bags in their hands; where American fast food chains and coffee shops are to be found on nearly every street corner and roundabout, and where modern high rises and skyscrapers dominate the skyline. “So much has changed in Qatar. Everything has become bigger – the shops, the houses, the whole of Doha,” says Mohammed Abdulasis, a 65-year-old Qatari who spends much of his free time in Souq Waqif, Doha’s historic Arabic bazaar. As a young man, Abdulasis would come here to buy spices and handicrafts imported from Bahrain and the United Arab Emirates. He would sip coffee as he watched Bedouins haggle over the price of the birds, sheep and wool for sale. Today the sheep are gone and the birds sit in cages next to vendors selling rabbits, hamsters and kittens. Most of the “traditional” merchandise, Abdulasis moans, is now made in China. The souq has been updated and refurbished and now houses dozens of souvenir stalls alongside cafes serving Lebanese, Iraqi, Malay, French and Italian cuisine and even a Dunkin’ Donuts shop. Since the discovery of oil in the 1930s and full independence in 1971 (it had previously been a British protectorate), Qatar, a peninsula approximately 11,437 square kilometers in area on the western shores of the Arabian Gulf, has experienced rapid development and unprecedented wealth. 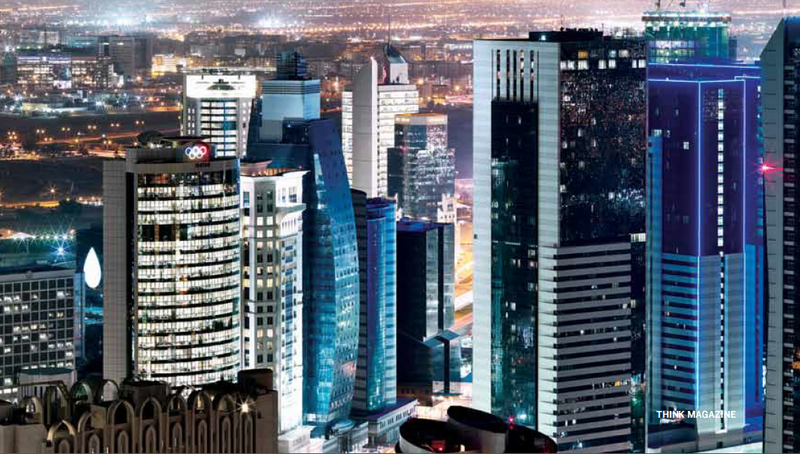 Qatar has the highest GDP per capita and economic growth rate in the world, at 19.4 percent in 2010. Large oil and natural gas reserves may have triggered the fast expansion of the country’s economy, but an examination of Qatar’s population reveals another pillar of its sustained success: a majority migrant and expatriate workforce. As of May 2012 the country was home to 1,795,828 people, according to the Qatar Statistics Authority. But fewer than 300,000 are actual citizens. The authority does not release figures about the nationalities of the individual residents. However, the US State Department estimates that the population is 24 percent Indian; 16 percent Nepali; 13 percent Arab (non-Qatari); 11 percent Filipino; 5 percent Sri Lankan; 5 percent Bangladeshi; 4 percent Pakistani; and 7 percent other. Qataris comprise only 15 percent of the population. This expatriate-citizen ratio is even greater in the country’s labor force; foreign workers comprise 94.14 percent of the country’s economically active populace, and 67 percent employed expats are engaged in unskilled or semiskilled work, including as taxi drivers, construction workers, waiters, janitors and maids, according to the Qatar National Development Strategy 2011-2016. Qatar’s Permanent Population Committee reports that since 1960 and 1970, when Qatar began to see significant income from oil and gas, the country’s population rose almost 31 times and 14 times respectively. In 1970, only 111,133 people lived in Qatar, including 45,039 Qataris. In 1986 the census recorded 369,079 inhabitants. This number reached 522,023 people in 1997 and then 744,029 in 2004. Then from 2004 to 2008, Qatar experienced an unprecedented rise in population as the country entered a new development phase. The transformation of Doha into a modern metropolis led to a colossal demand for foreign workers. Between 2005 and 2009, the number of oversees employees jumped from 706,033 to 1,409,313, while the overall population reached nearly 1.7 million in 2010. The high number of expatriates of differing ethnicities has perceptibly impacted the country’s urban neighborhoods. Today Doha boasts residential areas and compounds home to an array of co-existing nationalities, including Western, Asian, Arab and Qatari, many of which have been brought together indirectly by income level rather than by a shared cultural heritage. Visibly ethnic neighborhoods, however, exist as well. Doha’s Najma and Musheireb neighborhoods, for instance, are often described as mini Bangladeshes or little Indias because of the thousands of South Asian workers who call them home. Given the large number of South Asians present in the country in general, in particularly Indians who comprise the largest foreign group in Qatar at 450,000 people, such ethnic ‘villages’ may seem inevitable. Their tangible impact, however, is anything but. Some academics such as Geoff Harkness, a sociologist and Visiting Assistant Professor in Liberal Arts at Northwestern University in Qatar, question whether the country’s predominantly unskilled/semiskilled and low-wage South Asian population has truly visibly affected and altered Qatari society and culture. The most obvious impact of many of Qatar’s ethnic groups has come in the form of additional aisles at supermarkets labeled “Filipino” or “Indian” food, clusters of family-run ethnic restaurants or convenience stores, and the establishment of a few nationality-based elementary and high schools. The West’s influence, on the other hand, is much more stark. “[Globalization] is changing the way people live their lives here, and you can see that certainly in education, in the number of women that have entered education, and you can see that in the workforce and in the number of women who are working now compared to before,” Harkness says. “But you can also see it in terms of the sort of art and cultural products being produced here.” Examples include the establishment of the Qatar Philharmonic Orchestra, which is composed of a large number of European musicians and which performs a heavily classical European repertoire. Likewise, Doha’s many art galleries often showcase foreign artists, including most recently the work of French-American sculptor Louise Bourgeois at Katara and Japanese artist Takashi Murakami’s first solo exhibition in the Middle East at the Al-Riwaq Exhibition Hall. That is not to say the various non-Western nationalities that have resided in Qatar over the years have not left a cultural imprint on the native society. In particular, experts say the influence of South Asians is tangible throughout the Gulf, but it stems back to the 18-19th centuries, long before the discovery of oil, when Qataris relied mainly on pearl fishing and maritime trade. Intermarriages between Indians and Gulf natives were also common during the East India Company’s period of economic power in the region. “You didn’t necessarily have a lot of Indians marrying locals in the Gulf but you did have a lot of locals who married from India – Qatari males would marry Indian woman,” explains Al-Zoby, who adds that this practice continued well into the 20th century and was made easier by the country’s economic and technological advancements. However, he stresses that Qatar’s discovery of oil and subsequent influx of migrant laborers did not trigger the country’s globalization process; it only intensified it. Nevertheless, rapid economic development has allowed Qataris to quickly and actively embrace Western cultural products and advancements. This can be seen in the country’s efforts to diversify from a carbon to a knowledge-based economy, perhaps best represented in the establishment of six American university branch campuses in Qatar Foundation’s Education City. The goal: to recruit more highly skilled Western and Arab expats who will in turn better educate and train Qataris to assume future leadership roles in the public and private spheres. Despite the benefits expats have brought and continue to bring, for some Qataris the sea of foreign workers – the BBC estimates that some 20 immigrants arrive to the country per hour – is overwhelming. Qatar’s migrant population is mostly male, which has resulted in a major gender imbalance – men now represent 76 percent of Qatar’s total population. Last year the Ministry of Municipality and Urban Planning ordered the removal of thousands of low-income single male workers living in residential areas to Doha’s Industrial Area after several local families complained about “lack of respect from expatriate bachelors for local values and traditions” and “menaces to the Qatari way of life,” local news outlets reported. Um Hussein, a 70-year-old Qatari woman, says the large number of foreigners in the country, especially men, can be intimidating if not downright inconvenient. Qatari entrepreneur Mohamed Jaidah, 30, says some Qataris’ negative attitudes about foreign workers stem from economic as well as cultural concerns. As for cultural trepidations, Jaidah says Qatar’s legalization of alcohol consumption, albeit with many restrictions, is a major source of unease for many Qataris. Twenty-three-year-old Maha Alhajri, who is currently enrolled in the university’s Foundation Program, agrees. She says the growing number of female expat professionals working in Doha has inspired Qatari women to expand their own career and education prospects. As for warnings that Qataris may be losing their culture, the students do not seem too concerned. “We are under the government and they will save the people and Qatari culture. We will not be afraid of losing our traditions because the leadership here in Qatar has put in our mind that tradition in Qatar is the first thing,” Alnaemi says. The government is also aware of the need to better integrate foreign workers, particularly ahead of the 2022 FIFA World Cup. Initiatives include developing new strategies to recruit and retain more highly skilled expats to balance the number of unskilled migrants workers in the country, the construction of an entertainment complex for workers living in the Industrial Area, and the proposed establishment of labor unions to protect workers’ rights. A new, more-integrated community is already beginning to take shape in Doha, Saraswathi says, primarily because the city’s globalized cultural institutions are flourishing. Back at the Katara Art Center, Sanz, a new arrival to Doha himself, ponders his photograph of a man peering off into the distance with a bundle of bananas cradled in his left hand. Like the first image of the Qatari woman holding a Coke cup, the man is dressed in clothing representative of his ethnic background; in this case a t-shirt displaying the flag of Puerto Rico, Sanz’s native land. But if the former represents Qataris’ tepid acceptance of globalization, then the latter signifies globalization’s entry into the country in the form of the migrant worker. What impact his culture will have on Qatari society in the long-run remains to be seen.